Rebels in Nigeria's main oil producing Niger Delta region Tuesday threatened more attacks on oil installations as well as oil workers in reprisal for a military raid on a militant hideout. Government troops engaged militants belonging to the self-styled Niger Delta Avengers in a fierce gun battle on Sunday near an oil pipeline operated by Italy-based Eni, with several of the militants killed, according to Army spokesman Sani Usman. Local media Tuesday reported the deployment of jet fighters and gunboats by the military in the creeks of the Niger Delta in the continued hunt for militants. "To the international oil companies and indigenous oil companies, it's going to be bloody this time around. Your facilities and personnel will bear the brunt of our fury," the group said in a tweet from their usual Twitter account. The group claimed responsibility for last Saturday's attacks on the Nembe 1, 2 and 3 Brass to Bonny trunk line belonging to Eni and indigenous company Aiteo. It came barely 24 hours after the bombing of state-owned Nigerian National Petroleum Corp. crude and gas pipeline in the western division of the Niger Delta. Industry officials said was a well scripted plan by the self styled Niger Delta Avengers group to completely shut down oil production in Nigeria, already down to 1.1 million b/d, according to official statistics. 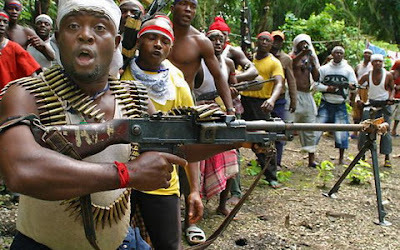 Renewed militancy in the Niger Delta which resurfaced after years of relative calm, has caused Nigeria's crude oil and condensate production to drop by almost 50% since the start of the year. Most of the production cuts came from outages at facilities attacked by the militants in the western division of the Niger Delta. Currently, four Nigerian crude export grades -- Qua Iboe, Bonny Light, Brass River and Forcados -- are under force majeure. The Qua Iboe outage is not militant related. The sharp drop in oil production has severely hurt Nigeria's economy, already reeling from the slump in global oil prices. President Muhammadu Buhari, in a nationwide broadcast on Sunday said while his government would continue to engage leaders in the Niger Delta with a view to addressing the problems there, including reviving the government's amnesty program for repentant militants, the president however, vowed to clamp down on the militants attacking oil installations. "If the militants and [pipeline] vandals are testing our resolve, they are much mistaken. We shall apprehend the perpetrators and their sponsors and bring them to justice," Buhari said. Sluggish volumes in the MEG and W Africa, together with less delays in Chinese ports, has lengthened the list of available tonnage. Charterers were firmly in the driving seat having held back and have managed to force rates down, Fearnleys said in its weekly report. VLCC earnings out of the two loading areas went down to mid $30,000s per day. There was an increasing feeling of softening undertones throughout the VLCC segment, as we may see the start of the summer market. Expectations that the softer trend in the Suezmax market would continue proved correct last week, as enquiries remained limited out of W Africa. Excess tonnage supply in combination with the force majeure situation in Nigeria had taken its toll on rates, which have been struggling in the WS50’s for W Africa-UK/Cont/Med voyages. At time of writing (Wednesday), some activity had created more momentum with a lot of ships getting fixed on subs for private deals done off market. However, for the time being, the enquiries were not enough to firm the market. Med/Black Sea also saw increased activity with charterers booking Suezmaxes for Aframax cargoes but only to fail the vessels, as the Aframax-rates softened shortly after. In the North Sea and Baltic rates also came off for both loading areas. This downward correction happened as charterers benefited from more available tonnage to choose from. By the middle of this week, it seemed the market had bottomed out. However, with the activity slowly growing again, we expect that owners will manage to push rates back up in the short term, Fearnleys said. Med and Black Sea continued in the same vein as last week with rates spiralling up and down. Suezmaxes, desperately looking for more action elsewhere, went on subs for part cargo Aframax liftings, thus slowing down the firm momentum. At the same time, date sensitive cargoes had to pay up rate wise, leaving the market a bit disorientated as to which direction it would go. However, now that the dust has settled, we are left with a relatively well balanced market and rates will stabilise at around the WS110-115 level moving into first week of June loading window, Fearnleys concluded. In the charter market, Glovis was believed to have fixed the 2016-built VLCC ‘Ulysses’ for three years at $35,000 per day. The 2010-built Aframax ‘Leyla K’ was thought to have been fixed to Mjolner for six months at $22,500 per day, while CCI was said to have fixed the 2016-built LR1 ‘Bluebird’ for 12 months at $18,750 per day. 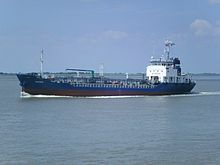 The 2004-built MR ‘Fidelity’ was reported to be fixed to Nanjing Tankers for 12 months at $16,000 per day, which is softer rate then previously reported for MRs. In the S&P sector, Frontline was said to have purchased two Chinese-controlled VLCCs for $117.5 mill en bloc. The 2010-built ‘New Coral’ was thought to be valued at $60.2mill, while the 2009-built ‘New Medal’s’ value was put at $57.3 mill. During February and March, 2016, Centrofin, the charterer of the Teekay LNG-owned Suezmaxes ‘Bermuda Spirit’ and ‘Hamilton Spirit’ , exercised its options under the charter contract to purchase both vessels for around $94 mill in total. ‘Bermuda Spirit’ was sold on 15th April, 2016 and ‘Hamilton Spirit’ was sold on 17th May, 2016. Teekay LNG used most of the proceeds from these sales to repay existing term loans associated with these vessels, the company said. Another en bloc deal reportedly involved the 2001-2004-built Handysize tankers ‘King Edward’, ‘ King Everest’, ‘King Ernest’ and ‘King Emerald. 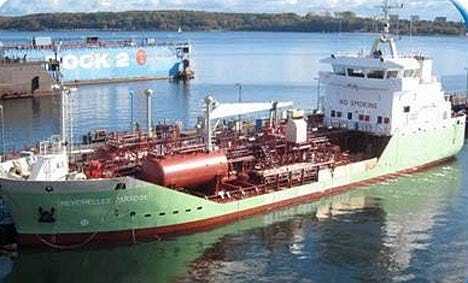 Brokers said that as yet unknown interests, rumoured to be private equity investors S1 Capital Partners on behalf of Offen Tankers, had snapped the vessels up for $45 mill en bloc. The 2004-built vessels were said to cost $11.8 mill each, while the older vessel was thought to be priced at $9.8 mill. Reported leaving the fleet was the 1987-built MR ‘Alba’ thought sold to Pakistani breakers for $291 per ldt. Technip and FMC Technologies are the next two oil service firms to enter into a merger commitment. The company reported that they will combine to create a “global leader that will drive change by redefining the production and transformation of oil and gas”. The combined company, which will be called TechnipFMC, would have an equity value of $13 billion based on pre-announcement share prices. The companies have entered into a MoU and are expected to execute a definitive business combination agreement to combine the companies in an all-stock merger transaction. Under the terms of the MoU, Technip shareholders will receive two shares of the new company for each share of Technip, and FMC shareholders will receive one share of the new company for each share of FMC. Each company’s shareholders will own close to 50% of the combined company. 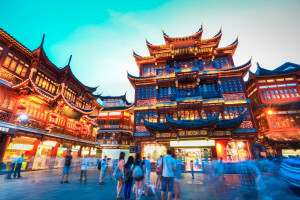 May 18 China appears to be stockpiling crude oil at a faster pace than the market had expected, taking advantage of low prices but perhaps also pulling forward its demand for imported crude. While China doesn't disclose the amount of crude flowing into strategic storage, an estimate can be made simply by subtracting refinery runs from the total amount of oil available from both imports and domestic output. Domestic crude production dropped 5.6 percent in April from a year earlier to 16.59 million tonnes, equivalent to about 4.04 million barrels per day (bpd), the National Bureau of Statistics said on May 14. This was the lowest rate on a daily basis since July 2013, and it brought the decline in the first four months of the year to 2.7 percent from the same period in 2015, with about 4.11 million bpd being produced. While lower domestic output in the world's fourth-largest producer shows China's oil firms aren't immune to the pressures of low prices, the shortfall has been more than made up by sharply higher imports. Crude imports for the first four months of the year were 123.7 million tonnes, equivalent to about 7.46 million bpd, and 11.8 percent higher than for the same period last year. Taking imports and domestic output together, total crude availability in China for the January to April period was 11.56 million bpd. Total refinery throughput was 2.9 percent higher in the first four months at about 10.69 million bpd. This means that there was about 870,000 bpd of crude available that wasn't processed through refineries, meaning it most likely made its way into commercial and strategic storages. This means that China is filling storages at a considerably faster pace than had been expected in a Reuters poll of analysts conducted in December. According to the poll, China was seen adding 70 to 90 million barrels to its Strategic Petroleum Reserve (SPR) in 2016, or about 245,000 bpd at the upper end of that range. If all the surplus crude has indeed flowed into storage, it implies that about 105 million barrels were added in the first four months alone, more than what analysts had expected for the entire year. It is worth noting that some analysts had expected greater flows into the SPR, with Energy Aspects predicting 150 million barrels for the year. It would now seem that even optimistic forecasts may be exceeded, if China maintains the rate of crude imports directed for storage. China is currently filling its second phase of SPR, which has a capacity of 244.8 million barrels, and Thomson Reuters Oil Research and Forecasts expects this process will be completed by the end of the year. A planned third phase of undisclosed capacity is due for completion by 2020 as China works toward the goal of reserves equal to 90 days of imports. It would appear that China still has the capacity to add more oil to its SPR in the coming months, but questions must be asked whether it can do so at the same pace seen in the first four months. It's possible that storage flows may ease back in coming months, resulting in slower growth in crude imports. This may already be happening, with Thomson Reuters Oil Research and Forecasts provisionally assessing May imports at 29.47 million tonnes, down from the 32.58 million reported by customs for April. Higher oil prices may also help dissuade the Chinese from importing for storage, with Brent crude closing on Tuesday at $49.28 a barrel, some 77 percent higher than the lowest close of 2016 of $27.88 on Jan. 20. Certainly, history suggests the Chinese tend to buy more when they deem prices to be cheap, and ease back when they believe prices have risen too far, too quickly. This doesn't imply that China's imports of crude oil are going to reverse and head into negative territory, rather it suggests that the rapid growth in imports seen in the first four months of the year may start to ease. LPG shipping freight rates are to deteriorate further through 2016, as a result of the fast rising fleet of VLGCs, a recent report said. According to the latest edition of ‘LPG Forecaster’, published by shipping consultancy Drewry, the drop has already started to impact earnings of smaller vessel classes. VLGC freight rates have been in free-fall since August, 2015, as fleet growth has continued to outpace demand. During this period, as many as 41 VLGCs have been delivered and as a result, spot rates for these vessels touched a six-year low of $25 per tonne in April on the benchmark AG/Japan route. In line with falling spot rates, VLGC timecharter rates have also come under pressure, averaging $800,000 per month in April, 55% down on the same period last year. However, the fast expanding VLGC fleet is now impacting LGCs and MGCs, as a larger share of the LPG trade is being carried on VLGCs. As a result, demand for the two smaller vessel segments has been deteriorating leading to a decline in timecharter rates for these ships. “At the end of April, 2016 there were 117 vessels on order with each having a cargo carrying capacity of greater than 25,000 cu m. This means that the fleet will continue growing at a rapid pace in the three vessel size segments. “As demand is not expected to match fleet growth, freight rates are therefore expected to come under further pressure in the months to come,” said Shresth Sharma, Drewry’s senior analyst, gas shipping. Pemex's Chief Financial Officer (CFO) Juan Pablo Newman gestures during an interview with Reuters at Pemex headquarters in Mexico City, Mexico, May 13, 2016. Mexico's state-owned oil company Pemex is seeking partners to operate its money-losing refineries and plans to "dilute" its ownership in the plants, even selling majority stakes, the firm's financial chief said on Friday. Chief Financial Officer Juan Pablo Newman said in an interview that Pemex is seeking private sector expertise to make its six domestic refineries more efficient, as an extended crude price slump and years of underinvestment in its downstream assets has battered the company's bottom line. "We may not have a majority stake in the refineries, but we are going to dilute our participation," said Newman at his office on the 38th floor of Pemex's headquarters in Mexico City. He said Pemex aims to spend about 30 billion pesos ($1.65 billion) on its refineries this year, while it seeks additional investment from private partners. Newman added that private operators could bring much-needed efficiencies to the company's refining unit, its worst-performing division over many years. In late February, the company's new chief executive announced 100 billion pesos ($5.8 billion) in spending cuts this year to stem the losses. Last month, Mexico's finance ministry announced a capital injection of about $4.2 billion to pay down outstanding bills to Pemex contractors as well as some of its pension liabilities. Newman said Pemex's average crude oil output this year will "probably" beat the company's forecast of 2.13 million barrels per day (bpd), though he did not say by how much. "We do think it could be higher, but our challenge is to stabilize production," he said. The company's crude production currently stands at about 2.23 million bpd. Newman added that the company will likely not launch an energy infrastructure investment trust, known as Fibra E, this year due to ongoing accounting work on company assets. "The Fibra E still needs a lot more work internally," said Newman. "It looks very difficult to me (to be able to launch this year)... and right now, it's not part of our financing plans." Pemex saw its 75-year-old production monopoly undone by a constitutional energy reform in 2013, and following two years of falling crude prices, the company is seeking partners to boost output and improve margins. As long as there is gas to be processed, T&T is interested in Ghana's oil and gas sector. Prime Minister Dr Keith Rowley, who ended an official visit to Ghana on Wednesday, said this country is ready to get involved in Ghana’s energy sector. “But we certainly have an interest like that in other plants that we build, that the national gas company in Trinidad and Tobago would want to be involved in that,” he said. Dr Rowley said in recent times T&T been exploring ways of collaborating with Ghana to develop that country's gas resources. During a visit to the Atuabo Gas Plant with President Mahama, Dr Rowley said: “The gas pipeline is something that will serve Ghana immediately. Trinidad and Tobago is in a position to provide the technical and other expertise immediately. Before the T&T delegation left Ghana to participate in an anti-corruption summit in the UK, the two countries signed agreements for general co-operation and oil and gas. During his Ghana visit, Dr Rowley also officially commissioned a refurbished Ridge branch of HFC Bank which is majority owned by Republic Financial Holdings Limited (RFHL). Speaking at the brief ceremony, Dr Rowley commended the bank for it efforts and urged staff to give off their best. Managing Director of HFC Bank, Robert Le Hunte assured customers of continued quality customer service. “We will continue to upgrade our infrastructure. It’s all in the bid to serve our customers better. While doing this, we will also raise the standard of excellence in customer service by giving each customer the best available experience when they visit any of our branches nationwide,” he said. After the cutting of the tape, a plaque was unveiled in honour of Prime Minister Rowley. RFHL became the majority shareholder in HFC Bank last year with a 57.11 per cent equity stake. The world's oil market is rebalancing faster than expected due to several serious outages, but for now there is enough oil in storage and excess capacity to keep prices from spiking. "We've strung together an impressive number of outages and supply disruptions for the moment, but there's every incentive in the dire straits the industry's been in to get these barrels on line," said John Kilduff, partner with Again Capital. Outages and supply disruptions in Canada, Nigeria, Venezuela, and other producing regions have reduced oil production by an estimated 3.8 million barrels a day. Some of those outages should be temporary, and could bring a wall of oil back to the market once they are resolved. There is also the potential for more production from Saudi Arabia, Iran and even the U.S. - if prices rise enough to enable America's shale producers to restart some drilling. "Some of it's temporary, and if it goes on long enough, there will be longer lasting implications," said Michael Cohen, head of energy commodities research at Barclays. In Canada, an estimated 1.2 million barrels a day are offline due to forest fires in Alberta. The uncontrolled fire, covering 704,000 acres, moved toward energy production facilities Tuesday, after jumping a fire break area, according to Reuters. Suncor shut down its base plant, and said it had not sustained any damage, while Enbridge's Cheecham crude tank farm was less than a mile away from fire but fire fighters had the fire under control, according to Reuters. "This is bad," said Cohen, adding it's the biggest disruption in North America since Hurricane Ike in 2008. "It looks like it's getting worse before it gets any better...It's hard to say. Is it two weeks? Is it four weeks? If it goes on for another two weeks we're going to have some medium term implications for some of the projects up there." The industry had been hopeful the fires would be out and they would start sending workers back to their jobs just several days ago. "We had this big U-turn in events over the past 48 hours," said Jackie Forrest, vice president energy research at Arc Financial Corp. "It's getting difficult to predict when this wild fire will be put out." She said the fact it has moved north means it will take longer for the industry to restart oil sands production, now down by about 50 percent. The Canadian situation is different from other outages in that it is seen as a short-term problem, due to an act of nature, and while uncertain, the situations in Nigeria or Venezuela could be harder to predict. In Nigeria, militants have knocked oil production offline as the country struggles with the impact of lower oil prices on its economy. "If Nigeria goes offline, it's sticky. These armed militants are very intent on shutting down production. They have the capacity to do so," said Helima Croft, head of commodities research at RBC Capital Markets. Venezuela is another trouble spot, politically and economically. It is producing about 2.3 million barrels a day, but analysts see it as in a state of decline. "Things are falling apart. People aren't getting paid. Equipment is not being brought in, and that's precipitating production declines," said Eric Lee, an energy analyst at Citigroup. He said the situation could lead to failures in infrastructure, such as ports, pipelines and refineries. Venezuelan officials this week said they were able to secure a better loan-for-oil deal from China, buying time on debt payments. "When prices are low, you strip out the oil revenue and things start to gum up," said Cohen. "You've got people upset in Nigeria, Iraq and Libya, and part of it is they're not getting paid off…You've got Kirkuk oil field off line and you have a government in Iraq that is in a serious state of disarray." But Cohen said oil could return to the market from disruptions and that could send prices lower again. Brent crude was trading just under $50 Tuesday evening, and West Texas Intermediate was at about $48.50, up about 11 percent in the past week. On the other side of the equation, there are also major producers that could add supply. One of those is Libya, and news of a deal that could lead to the resumption of some production put pressure on oil prices Tuesday. "It's a good sign if the government in the east is going to recognize the UN government, but we'll have to see on this. The story changes day to day," said Croft. "They're at 150,000 and they have capacity at 1.6 million," she said. "Is it really a sustainable situation that you can get back to 600,000 or 700,000 on a longer term basis?" She said Libya could get back to production of about 350,000 barrels a day. "I look at Libya and I'm still a pessimist for now. This is plan "B" for ISIS," she said. The presence of ISIS near the oil facilities is a threat. "They're not going to try to operate it. They're trying to make it inoperable." Besides Libya's expected increase in production, Iran has been returning oil to the market more quickly than expected. Saudi Arabia has said it could add another million barrels to the market this year, and analysts are watching to see if it will do that. Saudi Arabia has made clear it is ready to ramp up production to meet customer demand but it changed the dynamic of the market when it pushed OPEC to move to let the market set pricing instead of adjusting output. That strategy led to a collapse in oil prices that took WTI to $26 per barrel. Oil has since been recovering from that low, and has received an extra lift from the outages. "The political change in Saudi Arabia is going to change not only Saudi Arabia but the oil market," said Daniel Yergin, vice chairman of IHS. "In terms of achieving their objectives, they want to enhance their position of being the low cost supplier." Yergin said it's striking that the oil disruptions have had such little impact. "You still have a big overhang of inventories, but after 18 months, the market is turning and it was time for a turn," he said. "Supply and demand in the second half is pointing to around $50 a barrel. But that's barring any major disruption. If we see further disruption that could put more upward pressure on prices." Yergin said U.S. shale producers could start to resume some drilling activity and that could add barrels to the market. "Certainly at $50 that's the number that starts to stabilize U.S. shale. I think people come back and start putting on more drilling rigs. People, at $50, will be a lot more efficient than they were before," he said. Here's a crude reality: Oil prices are recovering too late to save many drillers drowning in tons of debt. SandRidge Energy (SD)became the latest victim of the oil crash, with the Oklahoma City-based shale driller filing for Chapter 11 bankruptcy on Monday. Based on roughly $4 billion of debt, SandRidge is the second-biggest oil-focused U.S. company to file for bankruptcy during the current oil bust, according to a CNNMoney analysis of stats compiled by law firm Haynes and Boone. The biggest bankruptcy took place just last week when Linn Energy (LINE)filed for Chapter 11 with more than $10 billion in debt. Other bankruptcy filings in recent days include energy exploration and production company Breitburn Energy Partners (BBEP) on Sunday and shale driller Penn Virginia (PVA) last week. It's a sign of the continued struggles despite the 80% spike in oil prices since mid-February to around $47.50 a barrel today. Oil companies continue to grapple with diminished cash flows as they've cut back on production and contend with low prices. All of this makes it very difficult to pay back the debt they piled up just a few years ago when oil prices were comfortably sitting above $100 a barrel. Hence, the boom-to-bust nature of the oil business. There have already been at least 29 U.S. oil and gas bankruptcies this year alone, according to Haynes and Boone. That brings the toll since the start of last year to at least 64. The default rate among exploration and production junk bonds has soared to a record 27% over the past 12 months, according to a recent Fitch Ratings report. Fitch thinks the default rate could hit 35% by the end of 2016. 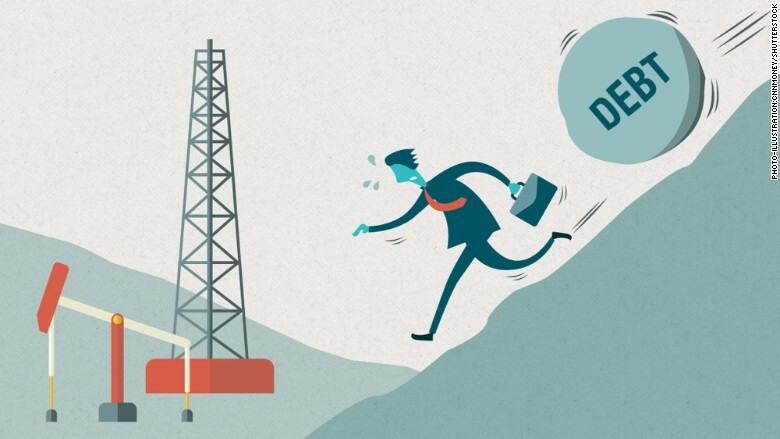 George Koutsonicolis, managing director at oil restructuring firm SOLIC Capital, believes more bankruptcies are coming, especially among smaller drillers. "The industry has historically been full of wildcatters and speculators. It's not surprising we're going through this boom-and-bust cycle," Koutsonicolis said. Just look at SandRidge, which hinted at a possible bankruptcy in March. The company's stock was trading at $80 apiece back in 2008, but today it's worth just 2 cents. SandRidge piled on debt to pay for its drilling efforts in the U.S. 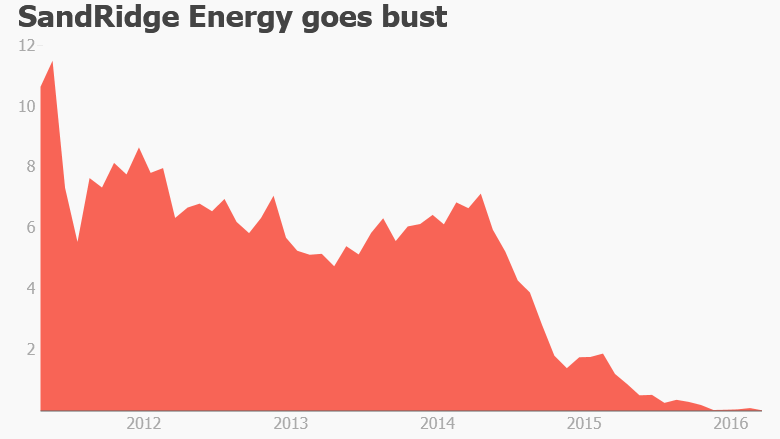 But SandRidge suffered a 32% plunge in oil production during the fourth quarter of last year. And each barrel of oil sold for just $46 last year, compared with $90 in 2014. Natural gas revenue has also been squeezed by depressed gas prices. SandRidge tried to reduce leverage in recent months by slashing spending, selling assets and negotiating with lenders. SandRidge hopes to speed its time through bankruptcy court by filing a "pre-arranged" Chapter 11. That means the shale company has already negotiated a reorganization plan with most of its creditors. The bankruptcy plan calls for SandRidge to convert about $3.7 billion of debt into equity, slimming down the company's bloated balance sheet. "We are pleased that our creditors recognize the long-term value SandRidge and its employees can create with an improved balance sheet," SandRidge CEO James Bennett said in a statement. SandRidge said it will continue paying employees, vendors and suppliers during the bankruptcy. The company believes it will have "ample liquidity" after emerging from Chapter 11, meaning it won't need to borrow more money to fund its drilling operations in Oklahoma and Colorado. Hoping to reassure employees, SandRidge also said it does not "anticipate any job losses" as a result of the bankruptcy filing. The issue with the turret bearing on the Kwame Nkrumah FPSO offshore Ghana on the Jubilee field has led to a drastic drop in production. According to reports the field is currently only producing at a rate of 33,000 bpd. Production was halted altogether in March due to these issues, however it has restarted since then at a much lower rate. While the partners on the Jubilee field may be seeing issues, the development of the TEN field is moving along at a good clip. The project is now more than 90% complete and remains on budget and on time with first oil expected in Q3. Field hookups have begun and additionally, the completion of the development wells is on schedule with seven wells completed to-date. New tanker orders have seen a sharp fall, but this slowing trend needs to be sustained for the longer-term health of the market, according to the latest edition of ‘Tanker Forecaster’, published by shipping consultancy Drewry. After numerous orders in recent years, newbuilding activity in the tanker market declined sharply in the first quarter of 2016, as only 34 vessels (2.6 mill dwt) were ordered during the period. Challenging conditions in capital markets and tight credit availability from banks have subdued new ordering. Although this will not arrest the strong fleet growth and corresponding decline in freight rates over the next two years, as many vessels are scheduled to be delivered in 2016-17, it bodes well for the future, especially if this is a reflection of cautious ordering by owners. However, if the current decline is just a breather after the spate of orders seen in 2015, when owners increased contracting to avoid stringent Tier III regulations for the vessels ordered from 1st January, 2016, any increase in ordering in the coming months will hurt the longer-term outlook for the tanker market. Despite the slowdown in ordering in the first quarter of the year, the total orderbook remains high at 63.7 mill dwt, 18.6% of the crude tanker fleet. About 80% of the vessels in the orderbook are scheduled to be delivered in the next two years, and Drewry expected more than 200 crude tankers to be delivered by the end of 2017. “Newbulding prices declined during the quarter on account of the slowdown in tanker ordering, which coincided with weakness in newbuilding activity in other sectors as well, keeping prices under pressure. If ordering remains weak in the coming quarters, newbuilding prices could soften further,” said Rajesh Verma, Drewry’s lead analyst for tanker shipping. “The tanker market is expected to be oversupplied in the next two years, due to hefty deliveries and relatively slow growth in the crude oil trade. If the slowdown in ordering continues further, it will keep fleet growth in check in the later years, which in turn will support tonnage utilisation in the tanker market,”he added. Turning to the chemical tanker sector, rates are expected to remain firm over the medium term, thanks to rising production capacity in key exporting countries, according to Drewry’s ‘Chemical Forecaster’. Since 2015, the US has started to export more and import less liquid chemical products. US methanol capacity surged 77% in 2015 with the addition of around 3.5 mill tonnes per year of new capacity. As a result, US methanol exports are starting to change the pattern of the long-haul chemical shipping trade. US exports volume to Northeast Asian and Europe rose 12% and 20%, respectively, last year. As a result, Drewry said that eastbound transatlantic freight rates in particular will rise over the medium term. Since sanctions on Iran have been lifted, many new projects in the Middle East are expected to come on stream from this year. For instance, the country’s 2.3 mill tonnes per year Kaveh Methanol plant is scheduled to start operations in the second half of 2016. Exports from the region to Northwest Asia and Europe rose 5% and 23%, respectively, in 2015 and Drewry forecast the pace of growth to continue over the next three years, boosting freight rates. However, on the westbound transpacific route, many large vessels have joined the trade. For instance, in the second half of 2015, 38 more vessels plied this route, of which 15 were of in 30,000-40,000 dwt bracket. “We expect more large vessels to join the eastbound transpacific trade during 2016 and as a result we expect freight rates to weaken in the short term but to remain stable over the medium term,”said Hu Qing, Drewry’s lead analyst for Chemical Shipping. LONDON— Royal Dutch Shell PLC on Wednesday said its exports of Nigerian crude oil had been significantly disrupted, adding to a slew of stoppages that have knocked out around 500,000 barrels a day of oil output in the West African country. It is the latest hit to oil exports across the world, leading to mounting concerns about the global crude supply. A series of output interruptions from Canada to Libya have illustrated how quickly the global glut of oil could be cleared out after nearly two years of weighing on prices. Canadian outages caused by rampant wildfires, supply disruptions caused by political disagreements in Libya and the Nigerian stoppages now add up to 3.5 million barrels of offline oil a day, said Seth Kleinman, a Citigroup analyst. “The growing level of supply disruptions should tighten near-term balances,” Mr. Kleinman wrote in a note. Global oil production still outpaces demand by more than 1 million barrels on any given day, weighing down crude prices that fell to their lowest levels in 13 years in 2016. Oil-market experts, including Saudi Arabia, believe supply and demand won’t balance more permanently until the end of 2016. Oil prices were up on Wednesday as new data showed U.S. oil stock inventories had been drawn down. Nigeria’s oil production looks particularly vulnerable amid an alarming increase in militant attacks on infrastructure in the country’s oil-rich south. Though it remains unclear what caused the latest outage, it follows a series of attacks that knocked out a significant volume of production since the start of the year. In an emailed statement, Shell’s Nigerian subsidiary said it had declared force majeure as of Tuesday, a move that gives it legal indemnity for being unable to fulfill its export obligations. The company said a leak had closed the Nembe Creek Trunk line which pipes crude through the Niger Delta to Shell’s export terminal. The disruption will affect about 200,000 barrels a day of crude exports this month, according to a trader familiar with Nigeria’s export program. Shell didn’t comment on the cause of the leak or the size of any associated spill. The Anglo-Dutch oil major sold the pipeline to Nigerian energy company Aiteo last year as part of a series of divestments from the restive Niger Delta, and referred further questions on the incident to the African company. Aiteo didn’t respond to a request for comment. The incident comes a week after an attack shut down Chevron Corp. ’s Okan platform off the Nigerian coast, knocking out 35,000 barrels a day of the company’s crude output. Another of Shell’s export terminals has been out of action since February, cutting off a further 250,000 barrels a day of the country’s oil output. Both attacks were claimed by a group calling itself the Niger Delta Avengers, which says it wants locals to have more control over the region’s oil resources and revenues. Nigeria’s rich oil fields have a long history of militancy and criminality that frequently force oil companies to shut down production. In the 1990s, protests over oil spills forced Shell out of one part of the Niger Delta, and militant attacks last decade frequently shut down big chunks of the country’s output. But large and sophisticated attacks on Nigeria’s oil fields seemed to die down in the wake of a 2009 government amnesty for militants. That truce may be coming to an end, with severe implications for Nigeria’s oil output. Last month, the International Energy Agency said supply from Nigeria fell to 1.7 million barrels a day in March—its lowest level since the middle of 2009. That was before the latest set of disruptions hit. The Niger Delta Avengers has threatened fresh attacks and said it would target international oil companies. Earlier this week, Shell evacuated nonessential personnel from one of its oil fields off the coast of Nigeria, though it said operations were continuing. —Georgi Kantchev contributed to this article. An estimated one million bpd of crude oil has been taken off the market due to the wildfire that has been raging in Alberta, Canada. According to reports, daily production is down by an estimated 800,000 to 1 million bpd. While no facilities or pipelines have been damaged due to the wildfire, staff from the facilities have been forced to evacuate. The evacuation has resulted in a lack of manpower to keep facilities up and running. Paul Newmarch, a spokesman for Suncor Energy Inc., one of the operators in the region, said that prior to the wildfire, the company was producing about 300,000 bpd; now it is producing none, due to it shutting down operations at three facilities north of Fort McMurray. He was known to some as the Alan Greenspan of the oil world. That is Ali al-Naimi, Saudi Arabia’s powerful oil minister, who was fired from his post on Saturday. He will be replaced by Khalid-al Falih, the chairman of the country’s state oil company, Saudi Aramco. “This is a historic one. [Al-Naimi] is the guy who for all intents and purposes has been the global oil market for the last 30 years,” said Phil Flynn, senior market analyst at Price Futures Group. Al-Naimi gained global respect for turning the biggest oil cartel in the world, otherwise known as the Organization of the Petroleum Exporting Countries (OPEC), into a respectable organization, Flynn said in a telephone interview. And just as former Fed Chairman Greenspan would lower or raise interest rates when he thought the market needed it, al-Naimi would add or hold back on oil depending on the energy market’s needs, he added. The move has reminded some who is ultimately in charge. While al-Falih, the new oil minister, now has one of the most powerful posts in the world, Flynn said there is no doubt that 36-year old Deputy Crown Prince Mohammed bin Salman is running the show in Saudi Arabia. “This guy is the new power broker in that country,” he said. The dismissal of al-Naimi comes weeks after the Saudi government unveiled a plan to wean the country off its dependence on oil revenue, given the hit the country has taken from lower oil prices. Some saw the writing on the wall for al-Naimi after major oil producers failed to reach a deal to freeze production in Doha, Qatar last month. While al-Naimi had previously said a deal was possible even if Iran didn’t take part, Prince Mohammed by all accounts put his foot down and no deal was done. Khalid al-Falih, pictured in January. Worry about al-Falih? Flynn said al-Naimi survived as many of his buddies were fired under Prince Mohammed’s father, King Salman bin Abdulaziz Al Saud. He said King Salman stopped short of axing al-Naimi because of the respect he commanded both in the country and abroad. It was clear, he said, that al-Naimi didn’t have the power to get a deal done at Doha. But what some may not realize is that al-Falih also commands much respect in the oil world, said Jason Bordoff, a professor at Columbia University and founding director of the Center on Global Energy Policy in New York. “Everyone who pays attention to Saudi Arabia and oil prices knows Khalid al-Falih is very widely regarded and respected as a capable leader of Saudi Aramco,” he said in a telephone interview. Al-Falih has been working closely with the Prince Mohammed and seems to have the “confidence and trust of him,” said Bordoff, who served as White House energy adviser to President Barack Obama from 2009 to 2013. “Saudi Aramco is widely regarded as one of the most technically sophisticated oil companies in the world, and I’ve had some personal dealings with Khalid and many other people who have view him as an incredibly impressive and smart and capable person,” he said. Before Saturday’s announcement, Al-Falih had been the country’s health minister, tackling a problematic area of the country’s economy, he said. As for al-Naimi, no one should be that surprised at an 81-year old, who had spoken for years of retiring, is finally leaving that powerful oil post, he said. Where now for oil prices? If there’s one thing that rattles the oil market, that’s any sort of surprise, and it’s fair to say the market may get the jitters over the news out of Saudi Arabia. The Doha meeting created uncertainty for the oil market as well as questions over Saudi Arabia’s futures policies and whether it will rise to the occasion such as in the past, raising and lowering global oil production when it was needed for the rest of the world, said Flynn. Now uncertainty in the wake of Saturday’s news could give oil prices a push in the near term, he said. “My assumption is that we’re in a globally oversupplied market. The market might look at it two ways: more uncertainty is bullish overall, though in the short term there is this perception that Saudi Arabia may flood the market with oil,” said Flynn. Just ahead of the failed Doha meeting, Prince Mohammed told Bloomberg in an interview that his country could boost its daily production number by as much as 20 million barrels if it invested in production capacity and by up to 11.5 million barrels a day right away. But Flynn said that given the country is seeing a strain on its finances because of weak oil prices, it can’t really afford to start ramping up production by more than a small amount. He said it would be worth watching China closely as for how well the oil market deals with news of a new oil minister in Saudi Arabia. The Shanghai Composite SHCOMP, -2.79% fell nearly 3% on Friday on worries about looming bond defaults. China crude imports in March were the second-highest on record, and any signs that the economy or stocks are stressed will lead the oil market to believe the country could curb that demand, said Flynn. But he’s ultimately optimistic about prices, provided the Chinese economy doesn’t fall apart. If the Chinese economy does melt down again, he said the market will be talking about a glut, and if things stabilize in China, the conversations will be quite different, more along the balance side. Bordoff said he doesn’t see much reaction coming from the oil market, though he agrees the changing of the guard could drive prices up in the short term. “We’ll be watching the next 24 to 48 hours to see if any other news comes out. I don’t think that this was that unexpected. I don’t think people will view it as any indication that large-scale changes are imminent in Saudi oil policy,” he said. West Texas Intermediate futures CLM6, -1.79% finished last week down 2.7%, while Brent crude LCON6, -2.53% the global oil benchmark, slid 4.2%. Oil gained on Friday, though as news of wildfires in an oil-rich region of Canada and disruptions to an offshore oil facility in Nigeria outweighed a disappointing U.S. jobs report. Nigeria is suffering a worsening bout of oil disruption that has pushed production to the lowest in 20 years, as attacks against facilities in the energy-rich but impoverished nation increase in number and audacity. Chevron Corp. shut down about 90,000 barrels a day of output following an attack on a joint-venture offshore platform that serves as a gathering point for production from several fields. 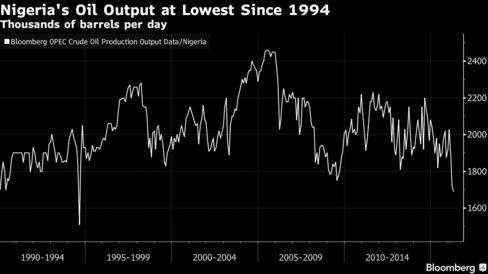 Even before that strike on Wednesday night, Nigerian oil production had fallen below 1.7 million barrels a day for the first time since 1994, according to data compiled by Bloomberg. The fresh round of attacks come after President Muhammadu Buhari vowed to stamp out corruption and oil theft. They echo a campaign waged by the self-proclaimed Movement for the Emancipation of the Niger Delta between 2006 and 2009, which cost the Nigerian government billions of dollars of lost oil revenue. That violence abated after thousands of fighters accepted an amnesty from late-President Umaru Musa Yar’Adua and disarmed, in exchange for monthly payments from the government in some cases. Chevron said it shut down its Okan offshore facility after it was “breached by unknown persons” and had sent “resources to respond to a resulting spill.” The U.S company on Friday said that 35,000 barrels a day of its own net production was affected. Okan, which feeds crude and gas into Escravos, one of the country’s largest export facilities, is jointly owned by Chevron, with a 40 percent stake, and state-owned Nigeria National Petroleum Corp., which has the rest, according to NNPC’s website. A group calling itself the Niger Delta Avengers said on its website that it was responsible for the attack. The authenticity of the claim could not be verified by Bloomberg News. The Nigerian government is struggling to contain the economic damage of the slump in energy prices and separate attacks in the north of the country by the Boko Haram Islamist insurgency. The country’s foreign reserves have fallen to less than $27 billion, the lowest since 2005. The International Monetary Fund expects the economy to expand 2.3 percent this year, the weakest growth since 1999. "Lower oil prices have meant that the poorer oil-producing countries don’t have enough money to pay for social services,” said Ehsan Ul-Haq, senior oil analyst at KBC Process Technology Ltd. “Protests are increasing as a result." In February, Royal Dutch Shell Plc declared force majeure -- a legal clause that allows it to stop shipments without breaching contracts -- after an attack on a pipeline feeding the Forcados terminal, which typically exports about 200,000 barrels a day. The International Energy Agency estimated last month that Nigeria could lose an estimated $1 billion in revenue by May, when it expects repairs on Forcados to be completed. The terminal may not restart until June, Nigerian Oil Minister Emmanuel Kachikwu said April 20. Major oil companies like Shell, Chevron, Total SA, Eni SpA and ConocoPhillips, which for five decades dominated the Nigerian oil industry, have been selling onshore and shallow water oil fields in the Niger delta to local companies, concentrating their investments in deep-water fields outside the reach of militants. "If prices remain low, we will see more and more problems including these kind of sabotage attacks," said Ul-Haq. Ship operators who rely on a myriad of companies for their global bunkering needs are wasting time, money and energy, Wilhelmsen Ships Service (WSS) claimed. With no guarantee of standardised quality of products and services in an industry defined by tight margins and cost constraints, this approach is ultimately bad for business, WSS said. WSS is now offering an alternative- bunker service agreements. These are claimed to provide shipping companies with peace of mind and uniform quality, as WSS’ global agents lead the process for the customer, to help ensure efficient communication, minimised administration and high standards. Everything is streamlined - with predictable pricing for a clear set of deliverables with no hidden extra fees. “Typical bunker calls include up to 40 lines of communication, between an array of parties – including port agents, bunker brokers and bunker surveyors – up to two separate financial transactions, and an excessive administrative workload checking disbursement accounts. Multiply this on a global level, on a port-by-port basis, and there is huge room for unpredictability – in terms of the complex delivery chain – and a massive man-hour inefficiency. And it goes without saying that time is money. “Shipping firms will rely on their bunker brokers, or procurement departments, to select the right fuel supplier, but what information can they themselves access with regards to typical bunkering times? Reliability? Punctuality? Ease of use? These factors make a real difference between a seamless bunkering process and a convoluted, lengthy and therefore costly one. There’s an opaque area here where it’s very easy to lose time and money,”he explained. With this in mind, WSS is advising ship operators to adopt a ‘one stop shop’ strategy. The Oslo-headquartered business, which undertook over 4,000 bunker-only calls, at over 150 ports, last year, uses its global network to offer Bunker Service Agreements. A uniform global bunkering routine ensures that each call runs smoothly, with, amongst other things: pre-arrival formalities and ISPS requirements completed 24 hours prior to arrival; bunker suppliers, surveyors, port authorities and pilots always given vessel ETA updates; service boats always ready for bunkering surveyors upon arrival, and completion; and a strict following up of all bunkering progress, WSS claimed. Wikstroem said that by switching to the WSS bunkering solution, a typical client performing around 100 annual bunker calls, would save over $20,000 per year through reduced bank transactions and paperless disbursement accounts handling alone. In addition, WSS’ worldwide operation allows it to accumulate detailed performance records of suppliers, giving it, and its customers, an intimate barge-side knowledge of all bunker operations in all major bunker ports. “Our completely independent, expert insight can cut through any potential uncertainty relating to suppliers and lead to enhanced decision making… and efficiency,” Wikstroem said. The VLCC market is on a roll over the course of the past few weeks. In its latest weekly report, shipbroker Charles R. Weber said that “the pace of VLCC chartering was at a one‐month high this week as charterers were busier following last week’s lull. A total of 27 fixtures were reported in the Middle East market (+93% w/w) and seven were reported in the West Africa market (+75%, w/w). Notably, all of this week’s West Africa fixtures were covered on units ballasting from Asia, but despite the corresponding strong level of draws on Middle East availability, rates corrected sharply over the course of the week with the benchmark AG‐FEAST assessment setting a fresh YTD low of ws46 towards the close of the week (which also represents significant erosion from the ws92.5 at which the route commenced April)”, said the shipbroker. According to C.R. Weber “one factor behind this week’s rate slump is that much of the Middle East market’s inquiry was oriented to the start and the end of the week, leaving a much quieter mid‐week period which negatively impacted sentiment. Another factor behind this week’s rate losses was the fact that charterers were covering nearer forward dates which alleviated some of the uncertainty inherent to normal forward windows amid ongoing operational delays in Asia; as the pool of units in play were already largely undertaking ballasts all were able to be seriously considered for fresh requirements. For their part, supply/demand fundamentals continued to disjoint. We note that with 60 May cargoes covered to date, we anticipate only up to 5 additional cargoes remain uncovered. Against this we note that there are 19 vessels available and even if assuming that draws to service West Africa cargoes remain steady from this week’s level, the implied surplus at mid‐May is 8 units in a low case. Through the end of the second decade of May’s loading program that surplus could rise to 15 (excluding any hidden positions). Given the extent of this week’s rate losses and the fact that while availability levels have expanded they remain manageable at present rates, we expect that rates will stabilize during the upcoming week”. “Rates on the AG‐FEAST route dropped 12 points over the course of the week to a closing assessment of ws48. Corresponding TCE fell 32% to ~$30,134/day. Rates to the USG via the Cape were off by 5.5 points to a closing assessment of ws33.5. Triangulated Westbound trade earnings declined by 10% to ~$59,690/day at present”, said CR Weber. Similarly, in the Atlantic Basin, “rates in the West Africa market continued to follow the direction of those in the Middle East. The WAFR‐FEAST route concluded the week at ws56, off 6.5 points from a week ago. Corresponding TCEs observed a weekly loss of 17% at a closing assessment of ~$40,813/day. The Caribbean market remained slow with the CBS‐ SPORE route holding at the $5.25m level”. “Chartering activity levels in the West Africa market were largely unchanged this week with a total of 12 fixtures representing a weekly increase of one. Charterers have moved slowly past May’s first decade loading period which has kept stronger activity levels at bay for now but; simultaneously, low VLCC coverage of the month’s program thus far leaves more cargo available to Suezmaxes which should drive demand in the coming weeks. The recognition of this fact has seen owners more resistant to lower rates and the WAFR‐UKC route was steady at ws82.5 while the WAFR‐USAC route eased by a modest 2.5 points on recent strength in the Caribbean likely to maintain limited slower demand levels for the larger tanker which in the coming weeks should see realized Suezmax demand strength. Between potential imminent demand strength and the probability that such will remain when charterers progress into June, rates are likely to remain steady early during the upcoming week with possibly firming thereafter”, said CR Weber. According to the shipbroker, “the Caribbean Aframax market commenced the week with strong rate gains after surprisingly demand materialized late last week with positive sentiment extending to the start of this week. However, as the week progressed the upward trend subsided once market participants realized that some units reportedly on subjects were either erroneous or had failed, leaving a less tight fundamentals profile. Having reached ws145 on Monday, the CBS‐USG route moderated to the low ws140s at which it remained through the remainder of the week. Sentiment concludes the week slightly soft due to a late‐week demand lull; however, with supply/demand balanced relative to present rates we expect that ws140 will represent a floor early during the start of the upcoming week with no major impetus for positive or negative progression presently evident”. Finally, “the Caribbean Panamax market was markedly more active this week with a surge of regional fixtures appearing early during the week while some swaps and stronger Aframax rates added to the pressure. As a result, the CBS‐USG routed observed a weekly gain of 15 points to a closing assessment of ws120. Failing a fresh demand surge early during the upcoming week, supply/demand fundamentals appear balanced though some units incoming from the Med and a less hectic pace could see rates moderate from the present high”, said CR Weber. On April 27, 2016, Genscape Vesseltracker detected a shipment of 4,200 tons (about 1.3 million gallons) of biodiesel from Australia arriving at the Texas Terminals Wharf in the Houston area. The Stolt Sun vessel carried the product that originated from the ports of Adelaide and Fremantle in Australia. According to data from the EIA, the U.S. hasn’t seen imports of biodiesel from Australia since January 2013, and the shipments from Australia have only occasionally occurred in the EIA’s recorded history (February 2012 and May 2011). What is interesting about Australian biodiesel imports? According to the 2015 USDA FAS GAIN report, Australia only produced about 17 million gallons of biodiesel in 2014. When the report was issued in August 2015, the expectation was that there would be 26 million gallons produced in 2015. The USDA also reported that only four of the eight biodiesel plants in Australia were operating at that time. U.S. imports would suggest little Australian demand for biodiesel and favorable economics stateside with the current regulatory incentives, even with the nearly two-month journey. The Blender’s Tax Credit, increased Renewable Fuel Standard volumes, and the value of Low Carbon Fuel Standard credits are driving increased U.S. consumption of biodiesel in 2016. A big question for the industry is how much of that will come from non-U.S. versus U.S. sources. Seeing another source of imports that wasn’t in the market in 2014 and 2015 could be an indication of the strength of imports in fulfilling increased demand. Using Genscape Vesseltracker AIS data and proprietary ship tracking, the Global Biodiesel Monitor provides stakeholders with access to key international shipment information to deliver a more complete picture of biodiesel and renewable diesel flows worldwide. To be in the know about U.S. imports of biodiesel and renewable diesel in this pivotal year for advanced biofuels, contact Genscape for a free trial to the Global Biodiesel Imports Monitor. With your trial subscription, you will discover the consignee that received the Australian shipments and all other biodiesel and renewable diesel imports. Click here to learn more or request your free trial now.